For the Japanese Tier VII Medium tank, see Type 5 Chi-Ri. For the Japanese Tier IV Light tank, see Type 5 Ke-Ho. Sometimes known as "Godzilla", Type 5, or <premptively censored>, the Type 5 Heavy is the final evolution of Japanese Super-Heavies. Its just massive as it seems: it has the second highest HP after Maus (2900), is even bigger, and has the thickest frontal armor of all heavy tanks in the game. 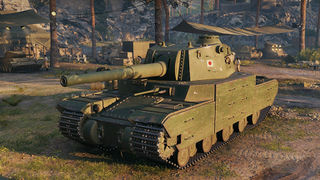 Like all other Japanese heavies starting at tier 6, Type 5 Heavy has the "choice" of a 'traditional' gun or a howitzer that is able to crush everything in your path. - Strong frontal armor with rather small weakspots that are resistant against most low tier vehicles. Even when unangled, Type 5 Heavy is almost immune to every standard AP ammunition (except tier 10 TDs)! - 2nd highest HP pool in the game: 2900. - Has very tough side armor, making it much more effective at sidescraping compared to other Japanese heavies. - Unlike Type 4 Heavy, hull cheeks are no longer a weakspot, which further improves Type 5's ability to angle its armor, especially when combined with it's very good side armor. - 15.2 cm naval gun has titanic potential damage (1100 with regular and 1400 with premium HE), the highest among others heavy tanks in the game. Apocaliptic when it faces tier 8 and 9 tanks. - 15.2 cm gun has very good shell velocity (850 m/s), and excellent gun handling for its gun type. - Very good gun depression. (-10) at sides and (-8) at the front. - Huge size and mass means that Type 5 can easily push other tanks and their wrecks around, facehug effectively and is so large that it can act as cover for smaller tanks and when destroyed as effective roadblock. - Unmatched fear factor due to its massive armor and ability to oneshot some tanks. Able to stop a flank by itself. - Huge ammo capacity on both guns, will never run out of ammo on battle. - Biggest tier 10 in the game; easy to hit even at long range. - Armor is quite flat, which makes it vulnerable to tier 10 TDs and premium ammo when not angled; high armor thickness with lack of weakspots encourages usage of premium ammo (and players hate it). - 14 cm gun its nearly useless. Has poor penetration on standard rounds and very poor on it's premium rounds. - Weak P/W ratio and low top speed. - Huge ammorack is easily damaged from side (altought very durable). - Large cupola, while not very weak, is quite easy to hit and commander can easily be knocked down if cupola is penetrated. - Top Nº1 in the most wanted (and hated) list. Attracts a massively attention once spotted, you'll be perma-stunned almost all the battle. Type 5 Heavy looks very similar to Type 4 Heavy, but in reality, it is huge improvement over it. Most notable changes are much more reliable and effective armor profile, huge HP increase (+850), slightly better mobility, better gun stats and lower engine deck which makes its shiloutte slightly smaller. Like all Japanese heavies, Type 5 lacks true frontal weak point. If enemies are firing standard ammo, Type 5 can pretty much laugh at them, except for some tier 10 TDs. While peeking from corner is still reliable and easy way due to lack of lower plate weakpoint, Type 5 can now also sidescrape very effectively due to much better side armor compared to Type 4 Heavy and hull cheeks. The Type 5 also can angle its turret when it is reloading, like Maus and E 100, although it is not recommended to angle the turret due to pre-angled turret sides. Type 5 can go hulldown due to it's tall profile and -10 degrees of gun depression, but the turret is huge and flat and may be an easy target if sat on a ridge. Type 5 also has poor reverse speed unlike the Maus or E 100, so getting shot is likely. Keep in mind that the 15.2 cm gun has "only" got -8 of gun depression at the front. Type 5 Heavy is one of only few tier 10 tanks with two alternative gun choices. Keep in mind that the 15.2 cm has almost as good reload as the 14 cm, while not having to penetrate the target (which is problematic for the 14 cm gun due to poor penetration and accuracy). Because the premium HE shells of the 15.2 cm gun also does almost as much damage as the 14 cm gun can with non-penetrating hits (again, with almost as good reload), the 15.2 cm is way superior option to the 14 cm and there is no real excuse to use the 14 cm gun, especially if the player can afford to fire premium HE. With 15.2cm gun, Type 5 doesn't need to hit weakspots, making the tank the most noob-friendly tier 10 to play. However, aiming can still do major impact due to HE mechanics; for example, shooting Maus at upper glacis wont do much damage, but shooting it at turret cheeks will be significantly more effective as the HE will splash into the hull roof, doing much more damage. Due to huge potential damage (1100 / 1400), it is recommended to focus on poorly armored targets to maximize damage. 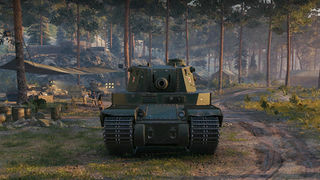 Keep on mind that premium HE is exactly the same as regular HE except it has 300 higher potential damage for higher ammo cost (someone said pay to win), so it is recommended to fire premium HE if you have premium account and some premium tanks to afford it. Thanks to Type 5's massive size (even bigger than the Maus!) and 25kph top speed, Type 5 is juicy target for artillery. Try to stay in cover from artillery when possible. Also, try to avoid going anywhere without allies. Type 5 which is left alone is easy target for more mobile tanks. Try to also avoid tanks getting into your sides, since The Type is so tall that some tanks can avoid it's gun despite the great -10 degree depression. Even 1 tank with you is better than nothing and generally should be enough to save you from that kind of trouble. Try to keep yourself close to buildings and other obstacles, so sidehugging is harder. After all, and for all the explained reasons, the Type 5 its considered by the majority of the comunity as one of the most(if not the most)broken tanks in the game. Unlike most other tier 10s, Type 5 Heavy doesnt come out as elited if you havent researched 152mm gun on Type 4 Heavy. If that is the case, research the gun and Type 5 Heavy will be elited. Alternatively you can use 14cm gun if you want. The Type 4 super-heavy tank, or "Type 4 O-Ro", was a second Japanese super-heavy tank design. 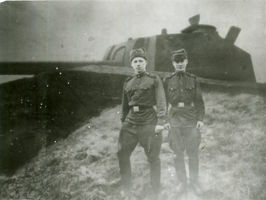 A turret was built and is said to be sent to Manchuria and serviced there. It is also possible that a hull was assembled, but no one knows how far that actually went. It is apparent that there was a proposed upgrade to the vehicle. This design is often referred as either "Type 5" or "Type 2605". 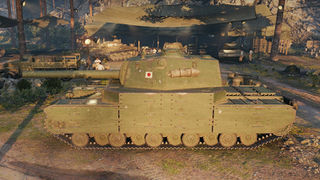 Given the vehicle was a proposed upgrade to the Type 4 "O-Ro", it is certainly possible that the full designation of the vehicle would have been Type 5 O-Ro Kai, meaning "improved super-heavy model II year 2605", but there is no evidence of this designation being used so it's all speculation. The improved design was most likely meant to be lighter design that could fix some possible design faults of the Type 4. Biggest difference was that the Type 5 in general was a lighter design than the Type 4 while keeping the same engine, cooling system, turret and armament, and possibly the same armor. The Type 5 had 35 percent smaller engine copartment compared to the Type 4, but retains the same type of engine, resulting in a very cramped cooler design. This design has however an advantage for saving some weight, resulting into a lighter design with same engine, increasing the mobility of the vehicle. Four radiator blocks are shifted towards the rear, and, along with the separate oil cooler, are cooled with one many-bladed fan, connected to the main reductor by a crankshaft, passing between engines. Air is gathered through vertical grilles in the engine compartment, passes through vertical radiators, and is released behind the tank. If the fan breaks, the air will be partially circulated with exhaust fumes, achieved by a nozzle collector on each engine. Not much else is known about the Type 5. It seems to have the same turret and gun with its predecessor. The vehicle was never built and remained only on papers, most likely due to the surrender of Japan. The rough sketch of the Type 5, detailing the modified engine and cooling system. Notice the differences between the hull shape of the picture between the in-game model. The hull of the in-game Type 5 Heavy is different from the one presented on the sketch. In-game Type 5's hull-design is closer to that of mediums tanks like the Chi-To or Chi-Ri, while the one on the sketch is more similar to that of the O-I. For example, the sketch has no evidence of the hull cheeks. In-game description is somewhat inaccurate. While the Type 4/5 likely shared some design ideas and possibly even components with the O-I, it is unlikely that it was an actual variant of the O-I. The 15,2cm gun, which is same gun as found on Chikuma-class cruisers, was never proposed to be used on Type 5. 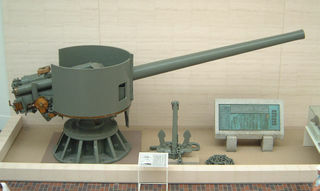 The 15,2cm gun had option for AP shells, which the Type 4/5 lack in-game. This page was last modified on 28 October 2018, at 11:53.